President Recep Tayyip Erdoğan said Turkey wants to open an embassy in East Jerusalem, following a decision by the Organization of Islamic Cooperation (OIC) to recognize East Jerusalem as the capital of the Palestinian state. The Muslim nation summit was a response to U.S. President Donald Trump's December 6 decision to recognise Jerusalem as Israel's capital. His move broke with decades of U.S. policy and international consensus that the city's status must be left to Israeli-Palestinian peace negotiations. 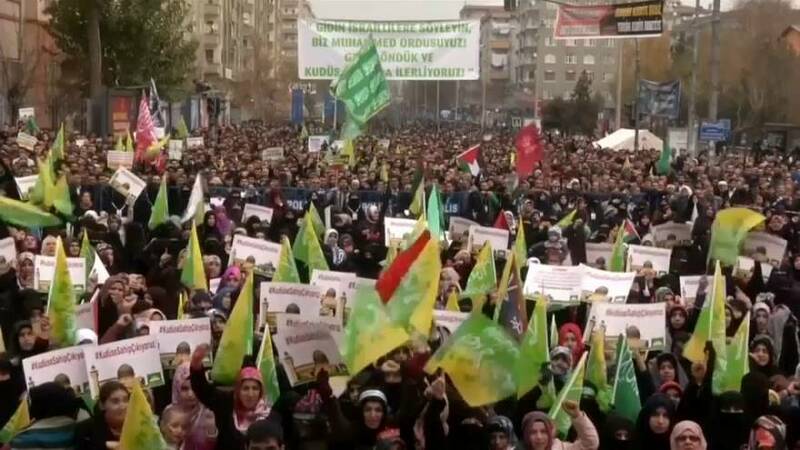 Meanwhile, thousands of people rallied in capital Ankara and the mainly Kurdish southeast city of Diyarbakir on Sunday to protest the U.S. move on Jerusalem and the ensuing clashes in the region. Jerusalem, revered by Jews, Christians and Muslims alike, is home to Islam's third holiest shrine as well as Judaism's revered Western Wall and has been at the heart of the Israeli-Palestinian conflict for decades.